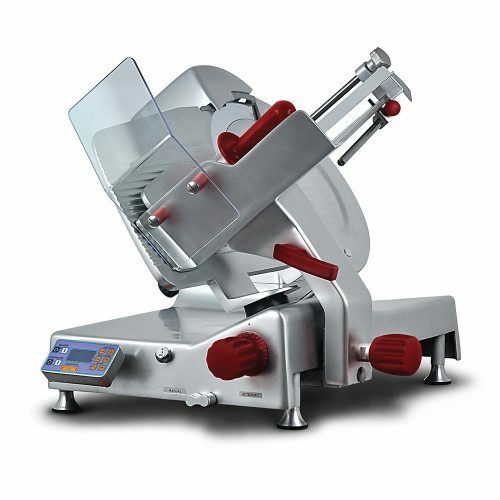 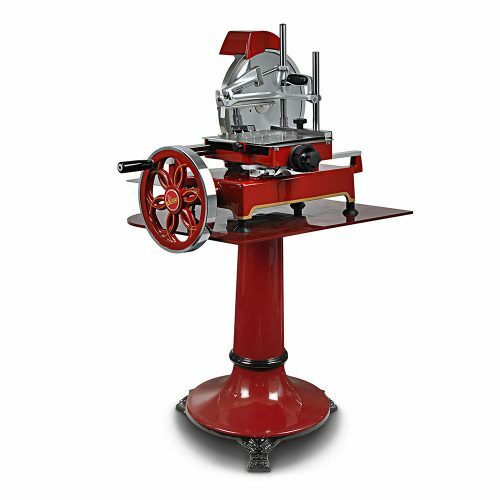 The belt driven vertical slicer has been specifically designed for shaving and slicing delicate cold cured meats. 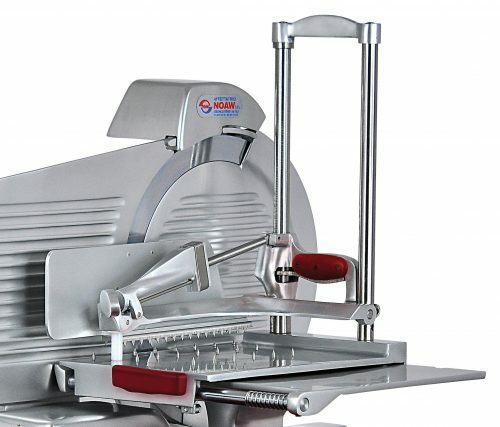 The machine features a double sliding plate with a lockable hand grip sliding on two vertical columns to ensure easy manoeuvrability. 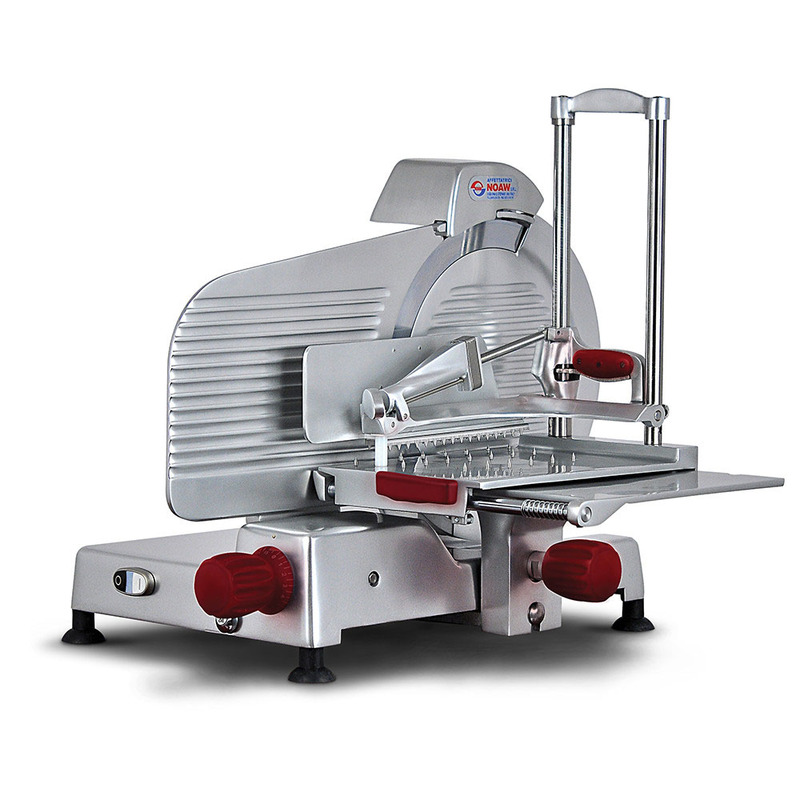 The spikes on the plate and meat grip hold the meat securely in place and ensure consistent shaving. Manufactured from anodized aluminium with clean lines, it has a built-in sharpening head and blade ring-guard. The slicer disassembles quickly without the need of tools for easy cleaning. 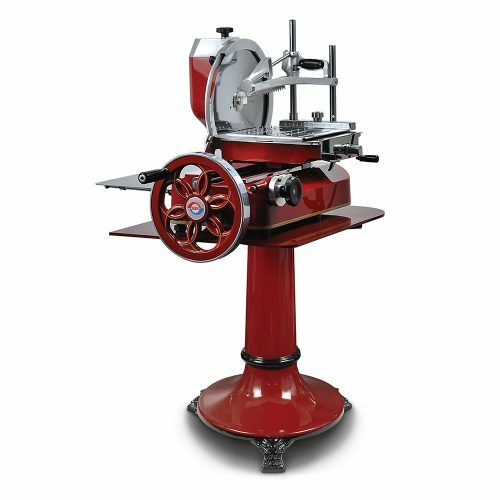 *All dimensions are nominal and horizontal dimensions include full carriage movement.